Hair Stylist in Orlando loves Dry Shampoo By VS! Getting hair ready for a photo-shoot is very important. Such as Hair, Hair Color, Makeup and Setting of the Hair Design. If you have dry, fine hair and has no body in it. 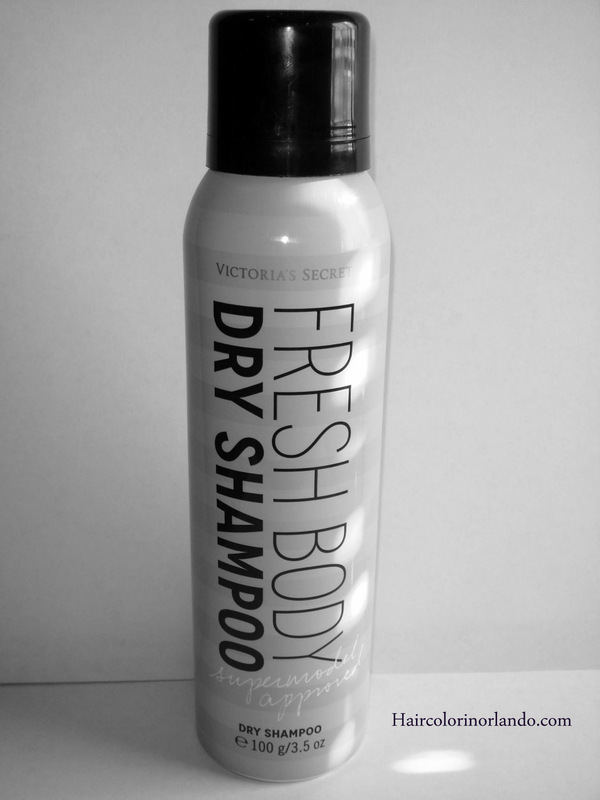 I would like to recommend Victoria’s Secret Dry Shampoo for you hair. This product will give fine, limp hair a extraordinary amount of volume. For photo shoots it is a live saver. I also like to curl the hair and break up the set and spray just a little on the root are and the beachy wave look is easily achieved. We all know as editorial stylists that by a 5-6 hour shoot the hair is pretty lifeless. But this product will give you a extended time to work during the shoot. Love it!!! I’ve purchased this multiple times now, it’s amazing! It helps matte the hair and bring volume to oily, second day hair! It’s especially useful if you accidentally used a little too much oily product in your hair. It has a light fresh smell of the “Body by Victoria” fragrance. If your nozzle gets clogged, try running it under hot water. If it breaks after you just bought it (its happened to me) just return it to your VS store (with or without the receipt!) and exchange it for a new one! It’s in their return policy. BOOST – HOLD Hair Spray, Love It!